Breastmilk Jewelry is a thing! It’s a unique and very personal way to use your precious milk to commemorate one of the first bonding experiences with baby. Start building your own diy breast milk jewelry kit, we’ll show you how. Did you know that breastmilk jewelry exists? I know, you’re probably not even sure what breastfeeding jewelry is but rest assured, this isn’t a new thing. It is a super sentimental way to celebrate motherhood by actually saving some of your breastmilk and turning it into a breastmilk ring or even a breastfeeding necklace. Of course, you can also make your own DIY breastmilk jewelry making this process and keepsake even more special. Breast milk jewelry features intricate pieces with accent stones or pendants made from, you guessed it, your breast milk. Your breastmilk is turned into beautiful pieces resembling pearls, opals and other precious stones and fitted as pendants and stones in rings, necklaces and other forms of precious jewelry. They can be quite pricey depending on the setting you choose. The jewelry maker will mix your breast milk with their unique mix of resin and chemicals to harden and preserve your milk, making it last long and keep its color. This will also make it pliable so that they can shape into your desired centerpiece. Express your milk by hand or using a pump as you normally would. Ideally, you want to store your milk in an airtight breast milk bag such as these. 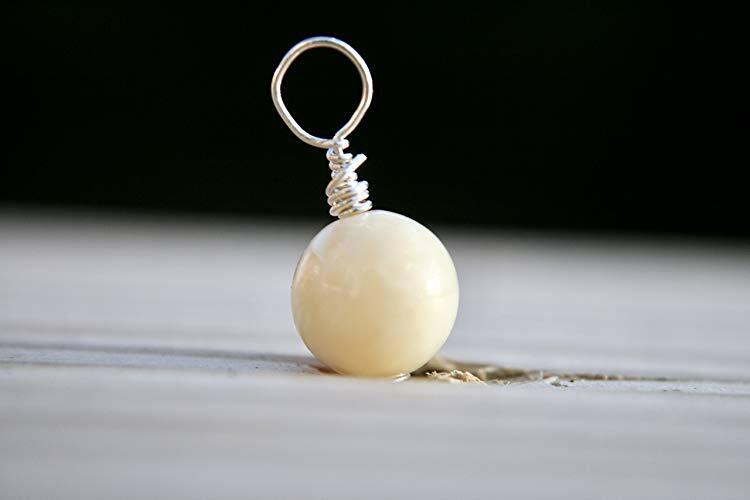 If you’re sending it off to a jewelry maker or using it up later, your milk can be stored in the refrigerator for up to 5 days or in the freezer for up to one year. Thaw your milk by placing its container in a bowl of warm water or leaving it in the refrigerator overnight. Never in a microwave. You will be required to send to your chosen breast milk jewelry artists at least two ounces of breast milk for them to work with. This super trendy breastfeeding keepsake has some jewelers with wait-lists as long as a year, so start your research as soon as possible to get yours on time. Of course, there’s no way of being 100% sure its your breast milk being used in the creation, therefore creative moms who love this idea have started to seek out DIY breastmilk jewelry kits. 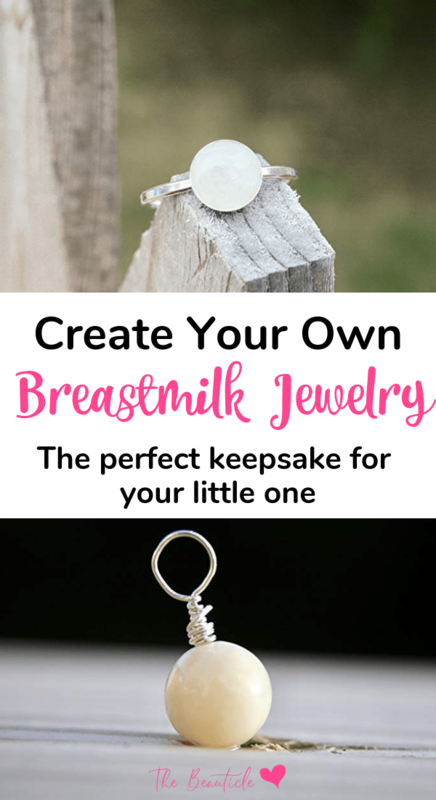 DIY breastmilk jewelry kits are a great way to go if you want to make your own breast milk jewelry. This way, you can create something truly unique as well as ensure that it is your breast milk being used in the piece. This trend has become so popular that you can now find DIY breastmilk jewelry kits popping up on Amazon. You’ll get the jewelry pieces plus the necessary preservatives for your milk jewelry. If you’re a DIY mama, check out this piece. The kit worked very well – I used it as a memorial for my stillborn son. I wanted to use the breast milk I had for him, so I made jewelry. The process was simple; the instructions are thorough. I was worried about filling the house with a chemical smell which the instructions warn, but that didn’t happen at all. It actually reminded me of Eagle Brand condensed milk as it thickened and the milk smelled sweet as it was cooking. I used 2 ounces per the instructions and it was enough to fill 4 locket necklaces and 1 pair of earrings. I made the jewelry about 8 weeks ago and I’m really happy with how it turned out. 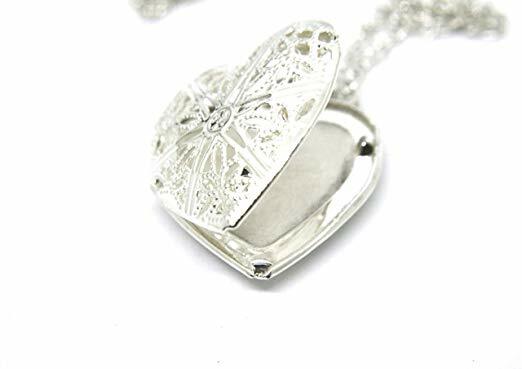 This gorgeous necklace was what another review used to place her prepared necklace inside. 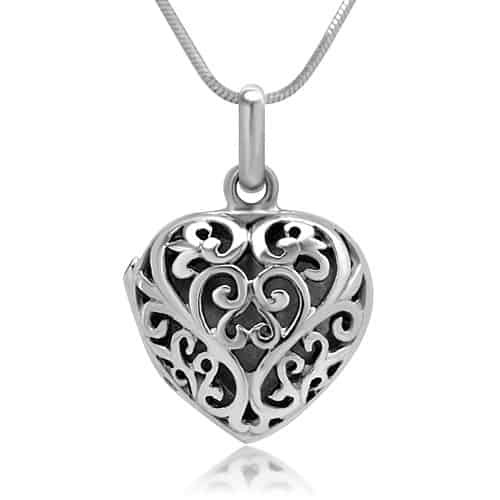 This pendant kept the cost low but still beautiful, the perfect keepsake. You can get this necklace here. If you’re worried about doing it on your own, this artisan will turn your breastmilk into a pearl for you. I bought this and ordered late given what was advertised as the turn around time. I let them know I was late and that it was for my wife’s birthday. They immediately jumped on it and put a rush order on it to make it in time for my wife’s birthday even though I said I knew it would likely not make it in time. They treated me like an individual and not a number or a bag of cash. Not only did they get it to my house in time for my wife’s birthday, but it was absolutely gorgeous. Better than I expected. The pictures don’t do it justice. Needless to say my wife was surprised and elated. My whole experience was better than I could have hoped for. Being treated as a human and an individual is a rare find these days and this company delivered in spades. Thank you so much again for a delightful experience and unique product! You can also create a breastmilk ring if that is more your style. 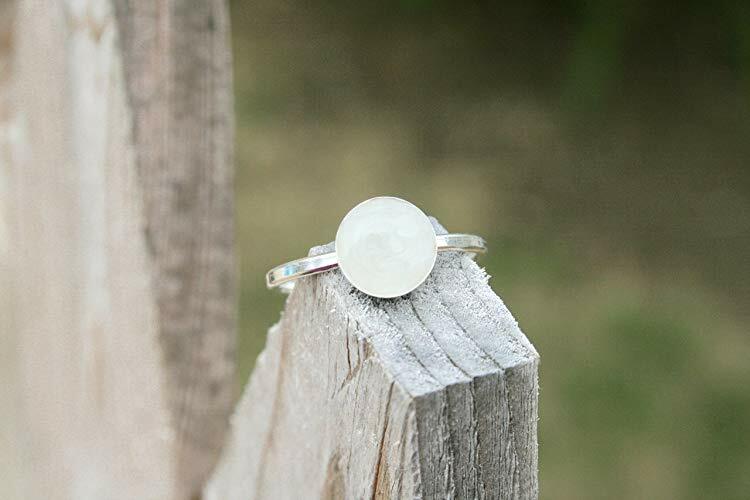 A breast milk ring would make a great gift for a mom. If you’re a mom yourself, what a special way to create a keepsake of your breastfeeding experience if you breastfed. It’s also a special way to memorialize baby if you suffered from loss and are now left with breastmilk with no baby. Will you be getting yourself some breastmilk jewelry?